The TPSC is chaired by the Cabinet Secretary for Communities and Children. It is made up of representatives of third sector networks working across 25 areas of third sector activity along with the CEO of WCVA. It also provides an opportunity for the sector to raise issues of interest or concern. It generally does not discuss issues that relate to only one area of interest which can be taken up through biannual ministerial meetings and as a national body it is concerned with issues affecting all of Wales. Siawns Teg is currently the representative organisation on the TSPC for the Employment sector. Tony Blunden, CEO at Siawns Teg is the nominated main representative. The network consists of over 100 organisations. Guided by our manifesto the network engages with the Welsh Government through consultation responses and TSPC meetings. This is a virtual network open to any organisation with an interest in employment. To ensure that the third sector has a voice the network needs representatives from all quarters. If employment sits anywhere in your workplace you can support and benefit from joining. Simply email tspc.employment@siawnsteg.co.uk detailing who you are, which organisation you represent and your full contact details. Expect that your information will be noted in ‘Links to topics of interest’ on this page. The page has open access to all. Points of note will be channelled to the TSPC. 2. Engage with the requests we make through consultation and responses to other members and TSPC information. The content of this website is provided for information purposes only. No legal liability or other responsibility is accepted by or on behalf of Siawns Teg for any errors, omissions, or statements on this site, or any site to which these pages connect. Siawns Teg accepts no responsibility for any loss, damage or inconvenience caused as a result of reliance on such information. Siawns Teg cannot control the content or take responsibility for pages maintained by external providers. Where we provide links to sites, we do not by doing so endorse any information or opinions appearing in them. We accept no liability whatsoever over the availability of linked pages. Siawns Teg reserves the right to refuse the provision of links to any external content, for whatever reason deemed fit. The evaluation assesses the implementation and outcomes of regional collaborative working, primarily projects funded through the Regional Collaboration Fund. Welsh Government evaluation report on Workforce Development Programme. For evidence, stats and information. WCVA Criminal Records Unit is closing on 30 September. 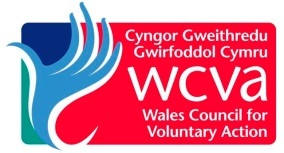 WCVA has collated a Trusted Supplier List to recommend to third sector organisations in Wales. The List identifies those DBS Umbrella Registered Bodies that can access checks on your behalf; they have been carefully selected to match as closely as possible the service provided under WCVA Criminal Records Unit. Please visit the WCVA website to learn more. have published their 2015-2016 impact report. DVSC has two new full time posts to recruit for following a reorganisation of our core activities. We're looking for motivated individuals who are passionate about the third sector in Denbighshire and North Wales, passionate about increasing our profile, and impact and passionate about making a difference. Check out the details on our website. The annual Centre for Social Justice (CSJ) Awards reward grassroots charities and voluntary organisations from local communities across the UK that have developed effective and innovative ways of addressing a variety of entrenched social issues. These charities often work with some of the hardest to reach people in the country.